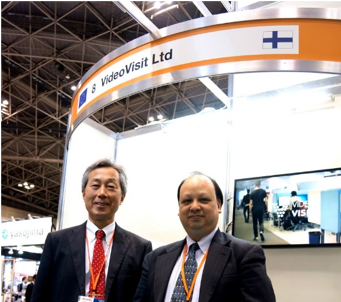 VideoVisit has been experiencing a big wave of activities and opportunities coming from the market of Japan. – It’s exciting to see the momentum and interest in our holistic platform solution for remote caregiving and with each trip it gets better and better. Japan is one of the strategic entry markets chosen for business development for the next two years and the results of the activities so far has been impressive. 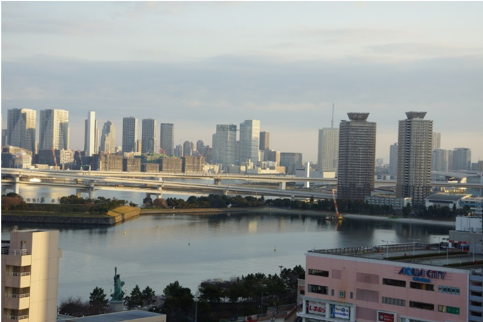 Last year, VideoVisit was in Japan four times to develop contacts, networks and discuss potential partnerships and pilots with Japanese companies. Due to the high interest and potential we see from the market, we decided to take a bigger step forward, explains Michael Haralson, COO of VideoVisit Ltd.
Shuichi Seo appointed as Director, Sales & Business Development for the Japanese market. It is with great pleasure that we formally announce the appointment of Mr. Shuichi Seo as Director, Sales & Business Development for the Japanese market. Shuichi Seo has broad experience in research, consulting and business development on cross border businesses. 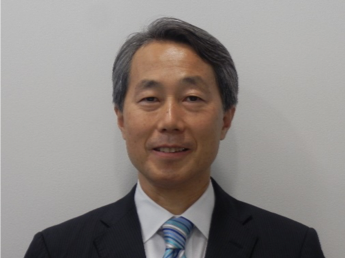 He has had international working experience with Nomura Research Institute in Sydney and in London. He contributed to Nikko Asset Management and T&D Asset Management in developing new businesses. He was involved in advisory services on M&A and corporate finance with IBS Securities. He is a CFA charter holder and served as President of CFA Society Japan from 2013 to 2015. He has BA in Law from the University of Tokyo and MBA from the New York University. Last month VideoVisit had the great opportunity to participate in the 2019 EU Trade Mission to Japan – we were one of 40 companies that were chosen to participate this year from a pool of some 350 companies that applied. Even more exciting for us was that we had attended the trade mission last year so it was an honour to be chosen once again. The trade mission activities are held in coordination with the Medtec Exhibition, one of the larger medical exhibitions held at Tokyo Big Site. – This March we have increased our meeting activities to reach out to potential partners and customers, with a total of 27 key meetings! It includes the EU Trade Mission to Japan matchmaking team’s efforts, some walk-on opportunities at the Medtec Exhibition and Shuichi Seo’s efforts to arrange appointments. This included some large Japanese medical companies as well as a meeting at the Sendai Finnish Wellbeing Centre. We start to see positive momentum in finding partners and pilots in the Japanese market, Shuichi Seo summarizes the week full of activities.